If you can sway people to the rhythm of the drum, then you you have to be at the Dholmania. 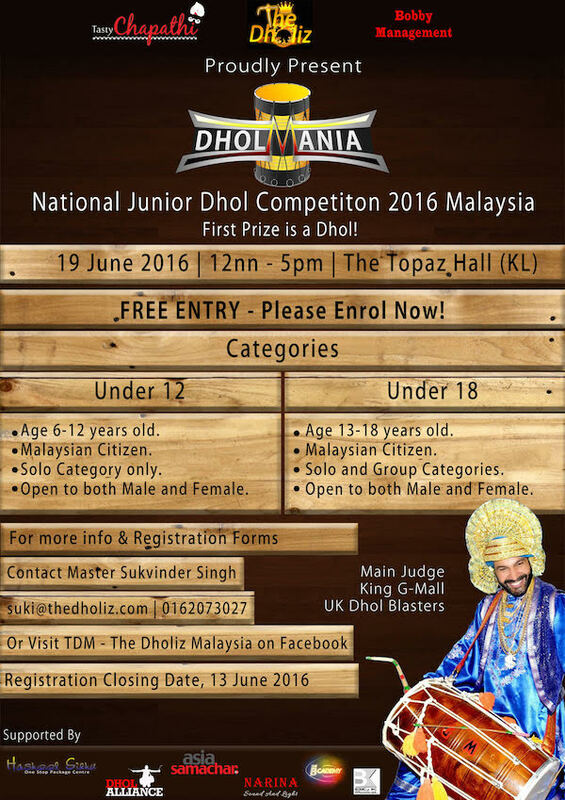 The National Junior Dhol Competition 2016 Malaysia is back. Dubed the Dholmania, the competition will roll out in Kuala Lumpur on 19 June 2016. The competition, organised by the The Dholiz, is for two two categories: Under 12 (solo) and Under 18 (solo and group).